Purple Lotus is a very rare herb only found in Felwood. It’s a great herb to farm if there isn’t any currently on your auction house because there are a few alchemist formulas that require Purple Lotus. 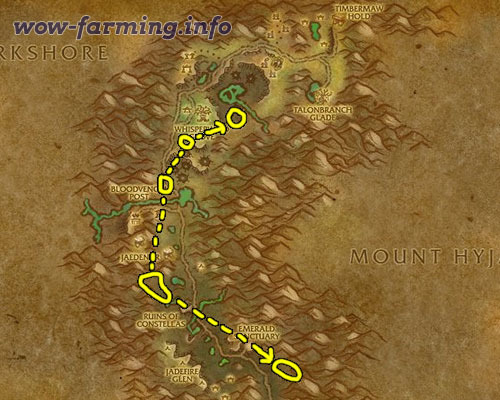 You will need at least level 210 Herbalism before you can farm Purple Lotus. It sells best in stacks of 1, 10 and 20 on the auction house but may take a long time to sell. Check the prices on the auction house before you farm too much of this stuff. It can sell for anywhere from 1 to 20 gold per herb, so it’s definitely worth checking out. Update: You can make a lot of gold with Purple Lotus, but if you want to step it up and make thousands of gold you should read my personal favorite guide.